"Throwback Thursday" (TBT) is the day when Facebook folk post old photos of themselves. I haven't done it before, but seeing a friend's TBT yesterday inspired me to do it myself, just a day late. On the bulletin board beside my desk, I keep a little photo gallery of myself at various jobs I've had. It's a nice reminder of places I've been and a tragic reminder of the predations of time. This morning I took down a few and scanned them, put 'em on Facebook, and put 'em here as well. Snapshots of a life. 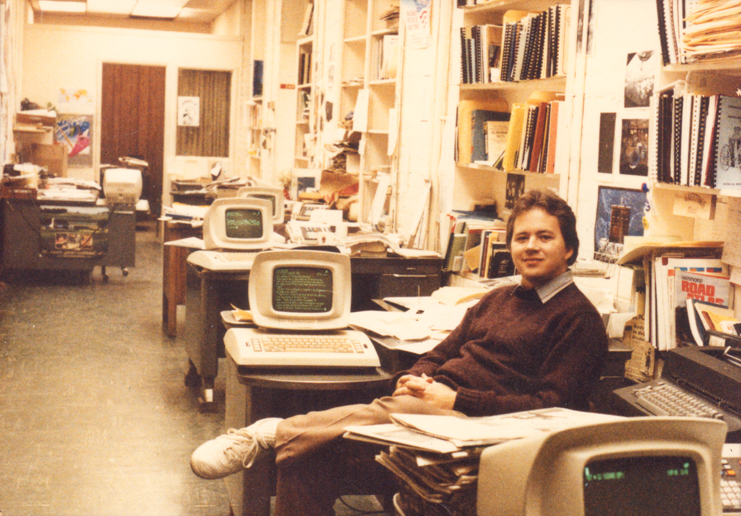 A young reporter working city beat at a small daily newspaper, age 24 or 25. This was the newsroom: editors sat down at the end. Composing was through a door to the right, photography in a broom closet past composing, sports to the right, and the presses in a warehouse out back. A big advantage of working at a small paper was getting opportunities to try everything, including some graphics skills (photostats, color separations, pre-press) that came in handy later. 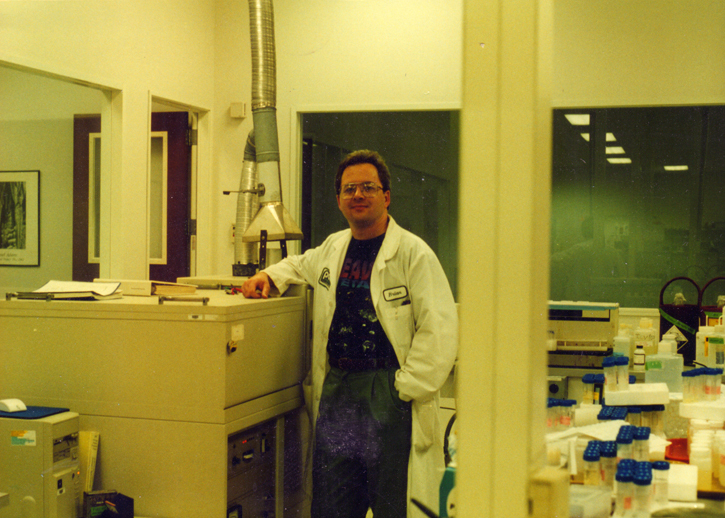 After I'd done a few years of journalism, we moved and I found work as an environmental chemist, analyzing samples for heavy metals (lead, arsenic, mercury, a lot of the periodic table). I'm around 27 or 28 in this photo. Those instruments are antiques now; the one on the right used a strip chart recorder! I met a lot of good people here, some who are still friends. Also continued freelance writing and cartooning through all these years. 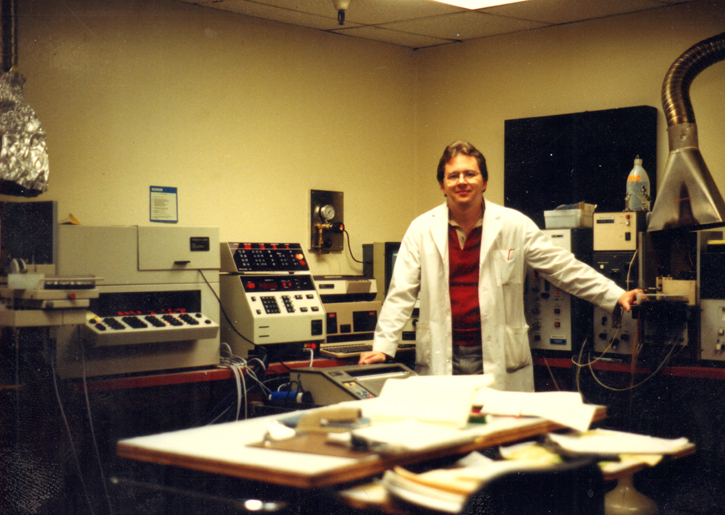 Still a chemist, here at a different lab with slightly better equipment, though still a Model T by 21st Century standards. My t-shirt reads "Heavy Metal" and has pictures of solid tin, copper, iron, etc. because that was my analytical specialty and also the level of my wit. I'm 35 or so. Evidently my hair was going for the Egon Spengler look, but at least it's still brown! I left my chemistry career to be a science writer, first for a small firm and then striking out on my own. 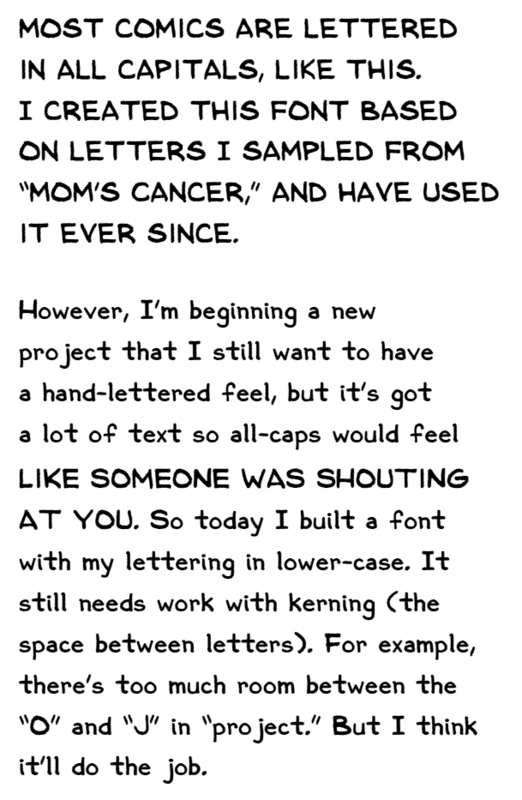 I've been a freelance writer/science writer/cartoonist for about 15 years now, and can't imagine going to work for someone else again. It's not an easy lifestyle to achieve or maintain, but once I managed it I was never going back!
. . . sadly, without me. The Baltimore Comic Con is this weekend, and since I'm on the other side of the continent and not wealthy, I'm not going. 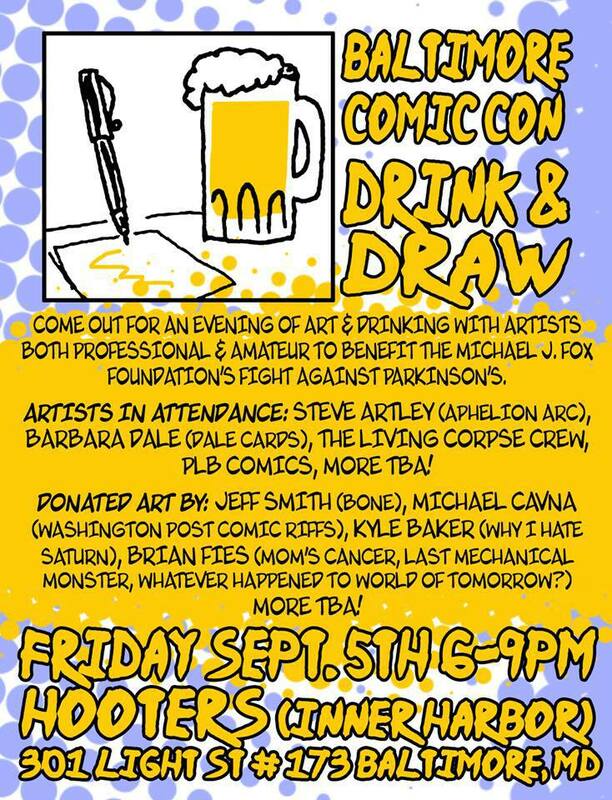 However, as part of the festivities, cartoonist Joe Sutliff--whom I met at the June Comics & Medicine Conference in, yes, Baltimore--is organizing a "Drink & Draw" event, where art will be sold to raise funds for Team Cul de Sac, the Michael J. Fox Foundation, and Parkinson's Disease Research. Parkinson's research is a cause that many cartoonists have taken on as their own since one of our own, "Cul de Sac" creator Richard Thompson, had to retire his excellent strip because of it. This is the first authorized mash-up of Whatever Happened to the World of Tomorrow and The Last Mechanical Monster. Probably the only mash-up. Although they really go well together, don't they? As I drew it, I was surprised how naturally these two projects of mine fit. Knowing me as well as I do, I probably shouldn't have been. Who's going to win this Battle of Brian's Books? The Robot's very strong, but never underestimate the destructive power of a teenager. Some of my light blue penciling shows in this scan. I don't even try to hide or erase it. For me, a big part of the fun of owning original comic art is seeing all the work and process that goes into it. I expect a lot of folks attending a comics convention might feel the same. If you want to own it, go have a beer or soda pop with Joe. 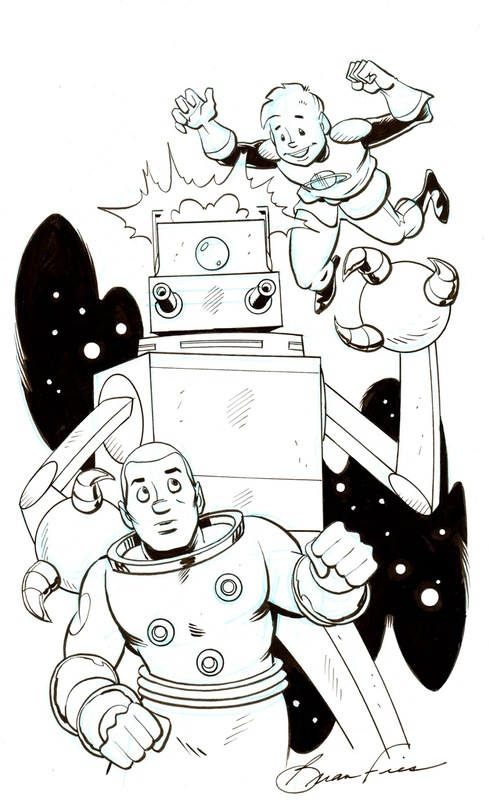 Best of luck to Joe, the Drink & Draw, and everyone attending the Baltimore Comic Con without me. Especially all you Harvey Award nominees (like my friend and editor Charlie Kochman!). I hope it's a blast.